Comments Off on Funds for furniture! The new building is coming together so nicely! Our staff ran through it on Friday afternoon (dodging Michelle and contractors!) to take some pictures of the new office and shelter spaces. The paint is drying and the floors are shiny and flawless. Yet, we’re not quite there yet! We still need to furnish these wonderful spaces. The shelter side needs beds, lamps, light bulbs and play toys etc and the administrative side could use… well everything. Thanks again to everyone who let us play around on Friday, and for all those supporting TWC in this huge project! 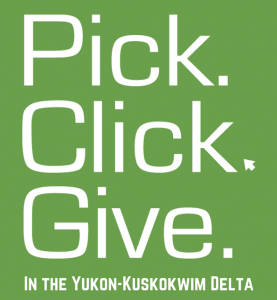 Tundra Women’s Coalition is a shelter and outreach organization serving victims of family and sexual violence in Bethel and the villages of the Yukon-Kuskokwim Delta in southwest Alaska. As many of you know, this region has some of the highest rates of interpersonal violence in the country. Many families come to our doors desperately needing a safe place for shelter, food and support when they are forced to flee abuse. Bethel residents, you have watched our new building rise from the empty, cleared lots in May to a nearly finished building in October. Out-of-town supporters, we would like you to know that after years of planning and work, this facility was built quickly over a few summer and fall months and is a beautiful addition to our community. This building is designed to house programs and staff who respond to and prevent violence. We chose to allocate our capital budget for building more square feet so we can maximize the number of people we can help. Now we are asking for community support in our efforts to furnish the building’s interior. Your gift of any amount is greatly appreciated; no amount is too small or too large to reach our goal of earning $25,000 in cash support from individuals and businesses. Thank you for your help!